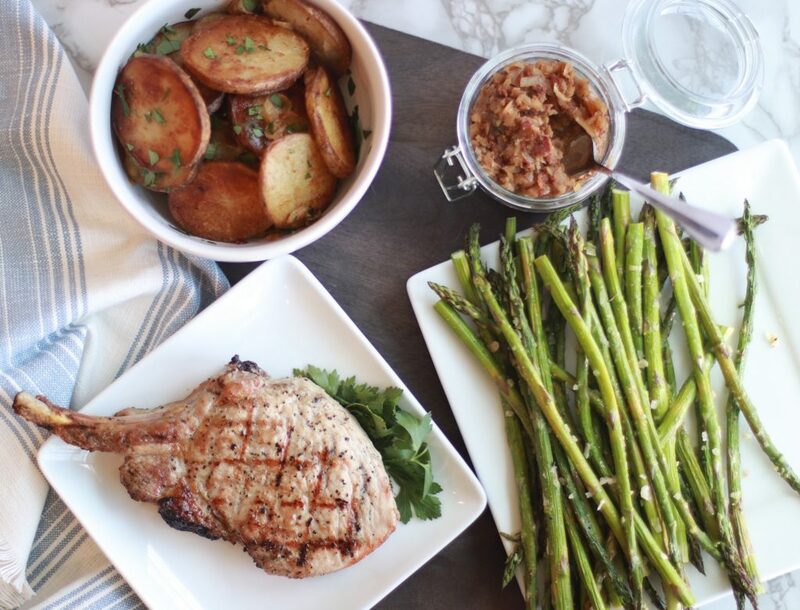 Asparagus is one of my go to vegetables for dinner. It can be seasoned/flavored with just about anything. Plus, it goes well with all types of food (lasagna, teriyaki chicken, pork chops). You name it, it compliments it. Asparagus is packed with nutrients and low in calories! It’s a great source of antioxidants. Plus, it helps to aid in digestive health! Sautee it, grill it, or bake it. 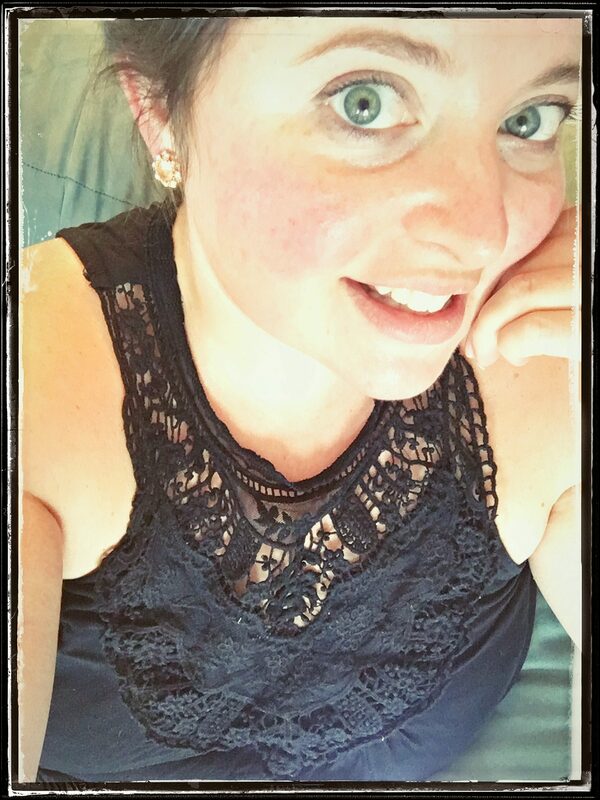 Tonight, I’m doing just that. 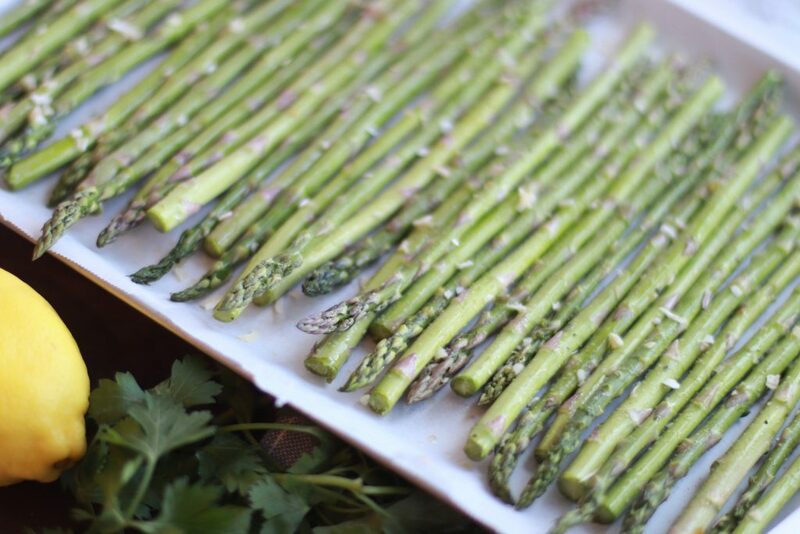 Baking the asparagus in the oven gives me more time to focus on the other dishes im making. I know that I can season the asparagus and place it in the oven, set the timer and voila! Preheat oven to 375 degrees. Place a piece of parchment paper on a baking sheet. Start by rinsing your Asparagus. Next chop off the very bottoms of the spears. This will generally be about a half an inch. Place the Asparagus in a bowl. Pour the olive oil over top. Sprinkle your Garlic Powder, Minced Onion, Minced Garlic and Salt over top of the spears. Mix the asparagus around. Evenly coating them. 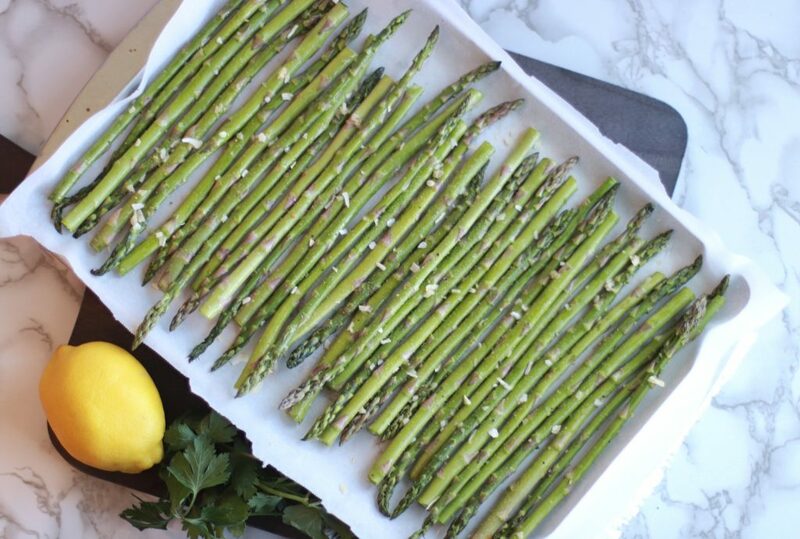 Transfer the asparagus in a single layer to the parchment paper. 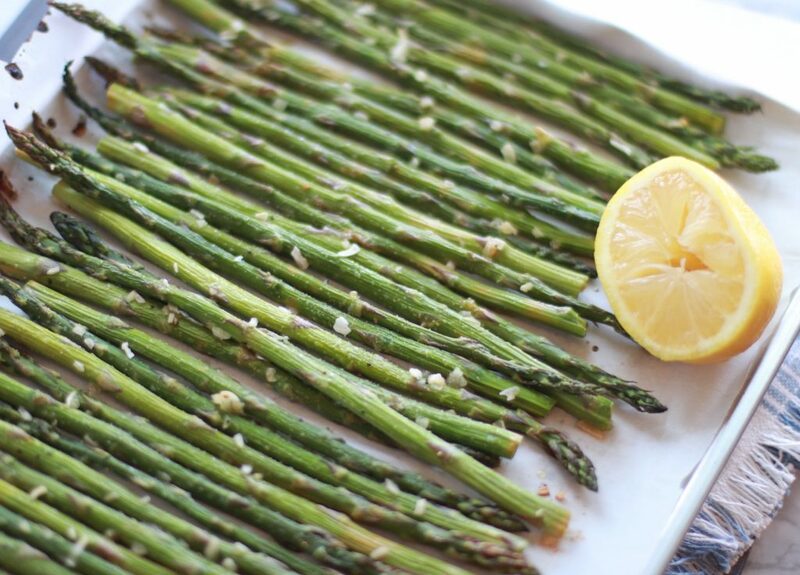 Squeeze half of your lemon over the asparagus spears, being careful no seeds fall onto the asparagus. Next, place them in the oven. Set the timer for about ten minutes. Then, when the timer goes off use a fork to flip them around. If they are to your desired firmness remove from oven. I like mine a little more of the firm side, as I prefer for them to not get soggy. If you like yours a little softer, you can cook them for an additional five minutes and then check again. Finally, pull them out of the oven and squeeze just a tad more lemon on them!